Butch Zito began performing at the ripe age of 3 and has never looked back. At the age of 19, he learned to play guitar and wrote his first song, Burned on Love, which Stackabones recorded in Austin, Texas in 1983. Austin was a seminal breeding ground for Zito’s songwriting chops. 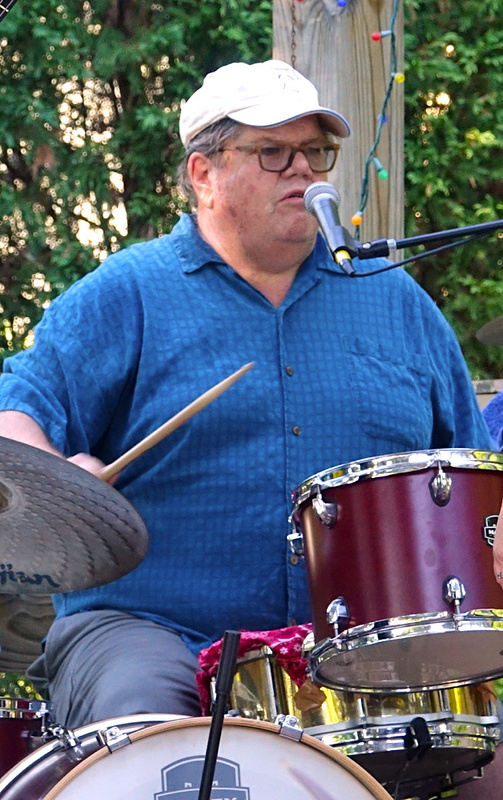 He often collaborated with his longtime friend and pickin’ partner, Jim Brighton. Having written over 120 songs worthy of others' ears, Zito notes, "I don’t write songs, they write themselves, I’m just a channel." It’s the songs that prompted Relix Records to sign Stackabones in 1990. 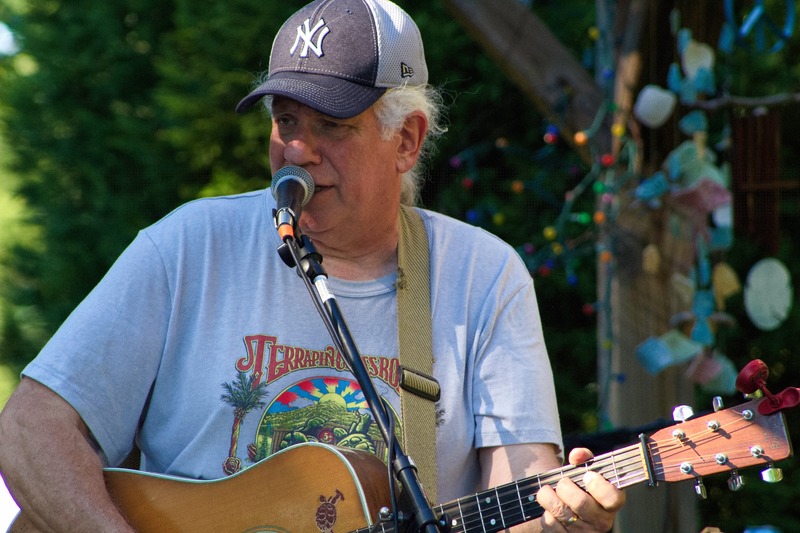 Butch now resides in Delaware and has gained attention from the State of Delaware receiving an Established Artist Musical Grant and has gained international recognition receiving the 2009 MMA Hemp Award for his song "Tall Grass". Chip Clofine has been playing one instrument or another since he was in utero. It wasn't until a drummer friend brought over an electric bass and said, "Try this!" that he found the instrument for which he was made. 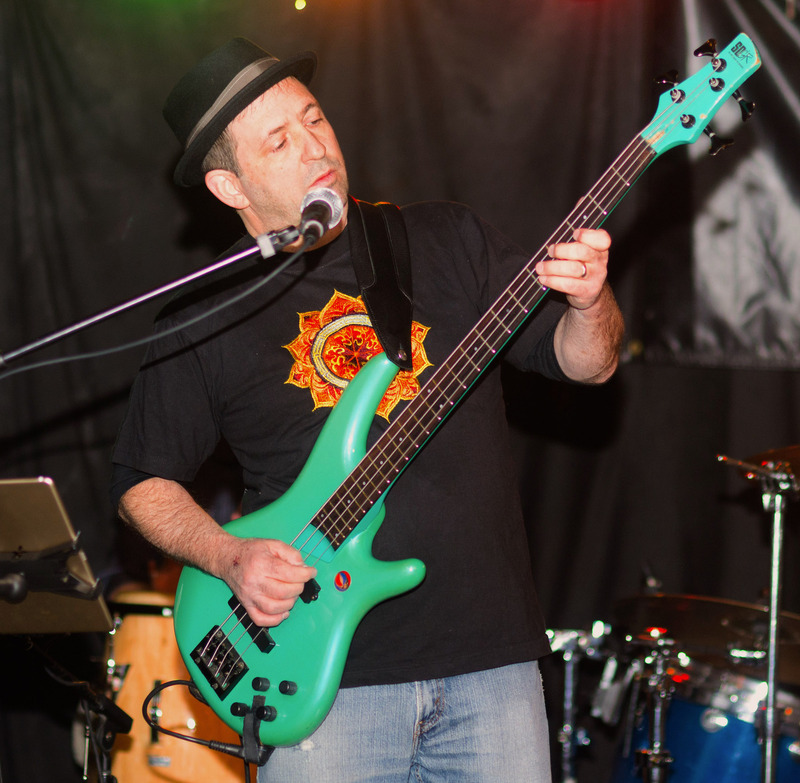 Chip spent many years performing and recording with Stackabones (in addition to a variety of San Francisco bands) and has shared the stage with such greats as Mickey Hart, Warren Haynes, Hot Tuna and the Aquarium Rescue Unit. Teri Zito began singing professionally when she auditioned for Butch's band BZB in 2000 and became the band's backup vocalist. With a desire to exploit their harmonies even further, Butch and Teri formed an Austin roots band named Railroad Pete, another Woody Guthrie-inspired band similar to Stackabones. 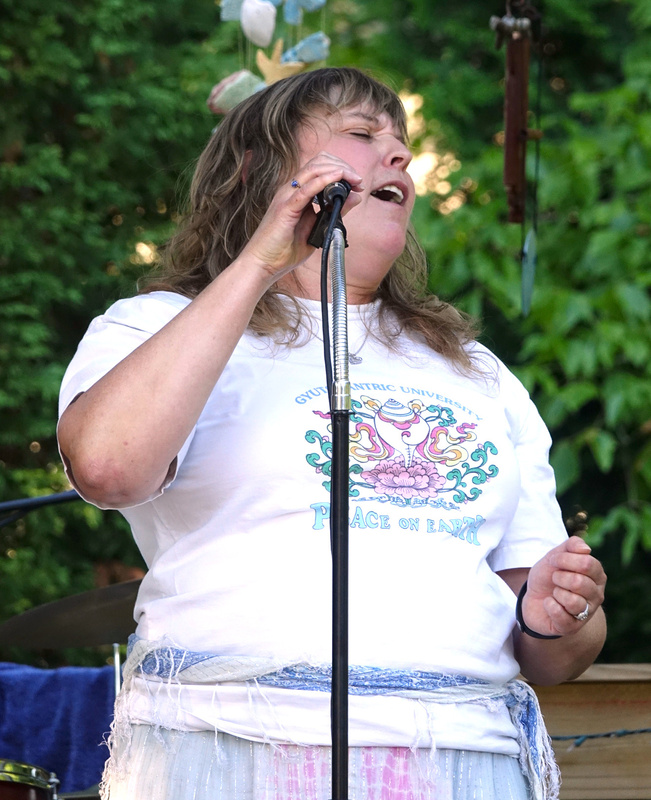 Teri came on-board with Stackabones in 2009 and can be heard lending her sweet harmonies backing up the band on stage as well as on their latest recording, "The Wax Still Drips". Kevin O'Kane received drum lessons for his eight birthday (yes, from his parents), and from then on he has been marching to his own beat. 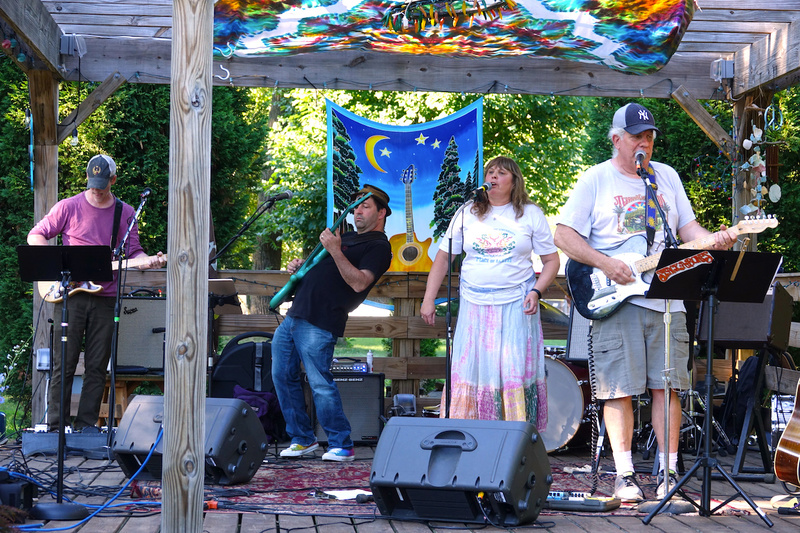 Influenced by folk, rock, jazz and the Grateful Dead, Kevin has been either performing or attending shows on a regular basis for over 40 years. 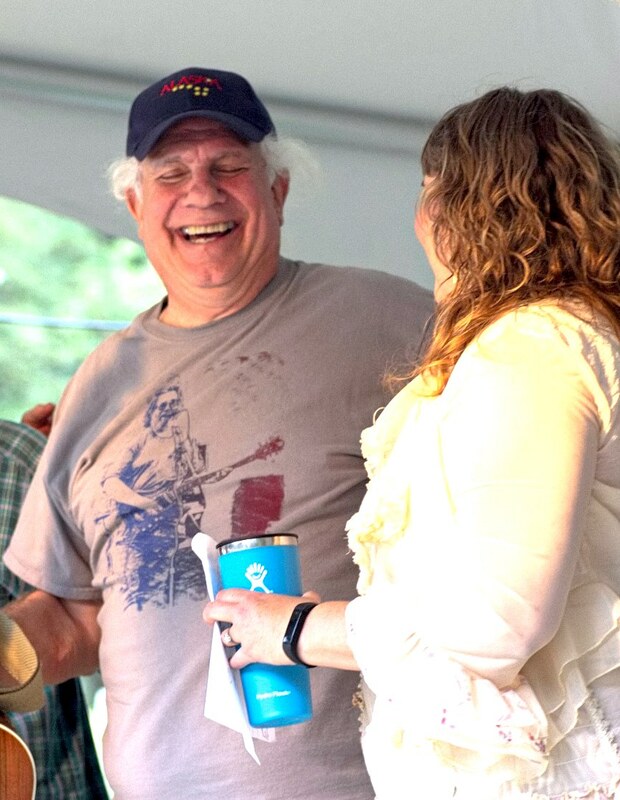 An in-the-pocket drummer and veteran of numerous musical projects, Kevin was excited to join Stackabones for their 2015 festival gigs, and shared these festival bills with Steve Kimock, Leftover Salmon, Jeff Chimenti, John Kadlecik and Jay Lane, to name just a few. 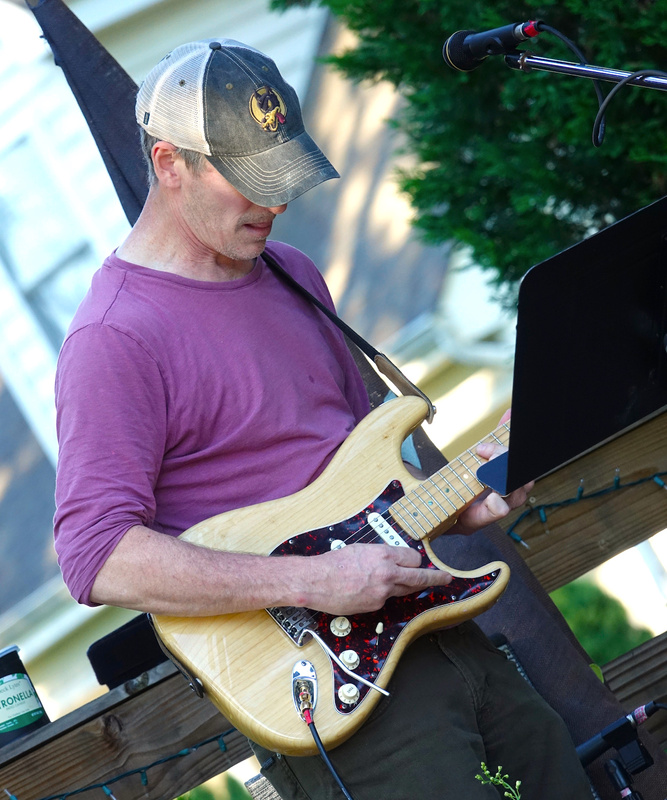 Scott Proud is a guitarist, singer, and songwriter who has been playing for over 25 years. His musical tastes encompass Americana, blues, folk, country and psychedelic chronicles, inspiring his exploration of the inner spaces of every song. A self-proclaimed guitar nerd, Scott is constantly searching for new ways for his gear to serve the music, a new chord, or finding the feel and melody of a new scale. Buckaroo Stackabones Our four-legged member "Buck" has been a fan of Stackabones since he was only a pup. You can find him sittin’ in with the band at every practice (snoozin'). 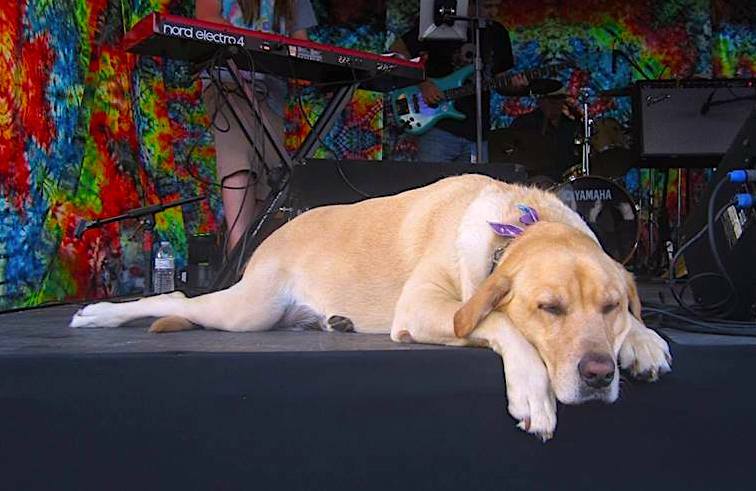 Recently, Buck begged to be on stage during our live performances and his presence has really solidified him as a member of our pack. If you get a chance to see Buck live, feel free to come over and give him a high five or a scratch behind his ears. He may even treat you one of his favorite All Natural Peanut Butter Stackabones Dog Biscuits! Formed in Austin, Texas by Butch Zito and Jim Brighton, Stackabones was a fixture on the Austin music scene in the mid-1980s. The band's first single, "Burned On Love" was played between sets at a Grateful Dead show, and Deadheads loved it. Shortly thereafter, Stackabones was signed by Relix Records and recorded their first album with pedal steel hero Bobby Black, a former member of the New Riders Of The Purple Sage. The name Stackabones comes from Woody Guthrie's nickname for his young daughter, Cathy Ann, who tragically perished in a fire at the age of five. Woody stayed up all night singing songs to her, until she died in the morning. He called her his "Little Stackabones". 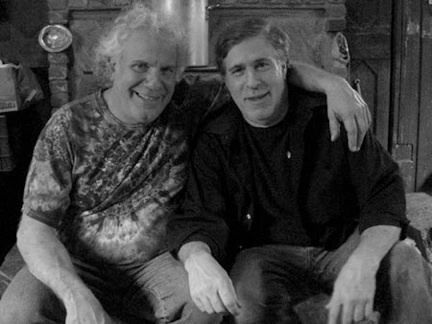 Jimmie and Butch's love for Woody's songs and teachings (especially his ability to sing and dance in the face of death), was one of their reasons to start Stackabones and to dedicate their life's work to music. Jimmie continues to pursue his musical career on the West Coast.